← The will to win or the will to prepare to win?? Are you just training them OR are you developing a culture? There is an enormous difference between training the people in your organization and actually developing a culture within your organization! Training simply formulates the process from A to Z. But if ALL employees don’t understand the entire picture, you are doomed for failure! 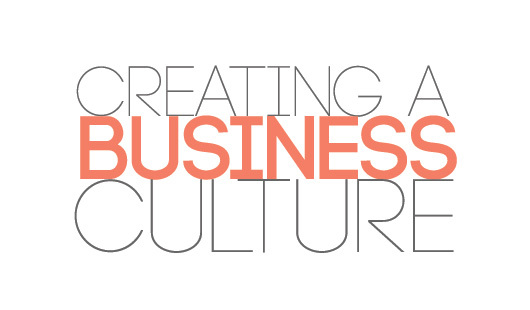 While building a culture…..well…that takes a lot of time and effort from ALL of the people within your company! From the President on down, EVERYONE must be included in this journey! Instead of just training your people on the processes, you have to begin formulating the culture in which your company will live and breathe! Does your company have a crystal clear vision on where it is going? AND….do ALL of the employees thoroughly understand it? Do the leaders within the Company work in harmony toward that vision? Is there open and honest communication between EVERYONE as to successes and failures? Do ALL employees thoroughly understand their role and what is required of them in the Company? Does your Company have an “attitude of gratitude” toward your customers? Does you Company have an “attitude of gratitude” toward your employees? Do ALL employees understand how other departments actually work and what the other departments “roles” are? Do you provide constant feedback and metrics on how well your company is performing? Are you providing positive motivation and inspiration every single minute of the day? Are you developing your employees to see that they must take an active part in developing themselves? Are your leaders actually on the front lines setting the pace or are they emanating orders from the “ivory tower”?? Are your employees publicly praised for their successes and privately counseled on their failures? You can simply teach anyone a process. You can train them all you want. You can train them every day. BUT…until you develop a “true culture” within your organization, you will fall directly on your face. The old saying goes…..”Either you are part of the problem or part of the solution”…. By building a solid culture within your organization, you are destined for great things!!! More customers will want to do business with you and you will have a steady stream of great people wanting to come to work in your environment! Love Love Love your information!! !